This Lego tripod Is really useful if you want to make smooth clips, avoid shaky videos and even when you have to capture some really fast movements. It is compatible with most of the common phones because of its elastic phone holder. 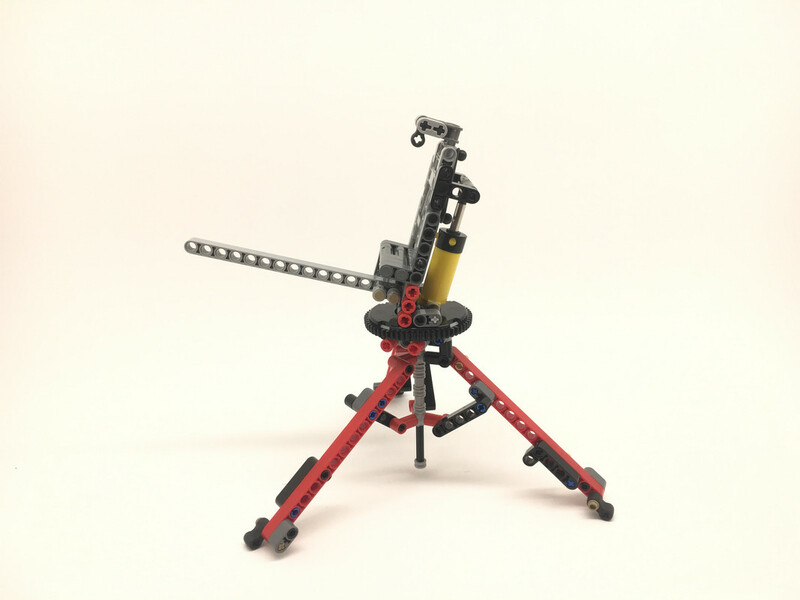 You should also use this LEGO tripod when you want to make a good timelapse because it stays stuck in the position, you need, because of the pneumatic piston placed opposite the handle. Good idea, the pneumatic cylinder in theory, though in real life applications I find it to be notoriously inaccurate. For me it seems to take excessive pressure to get it moving, then it moves to fast and slows down, causing jerky movements at best, not very accurate. I do agree a tripod is a must have when doing quality photography though. That is good to know, I would have thought the weight would actually exaggerate the jerkiness.